"We are grateful to have Neotrope assist us in raising awareness on children's environmental health and environmental justice. Their services will be extremely helpful as we continue to spearhead ground-breaking programs and policies that protect our most vulnerable," says founder and Executive Director of California Safe Schools, Robina Suwol, who was named by UTNE Magazine as one of "50 Visionaries Who Are Changing Your World." LOS ANGELES, Calif., Nov. 18, 2014 (SEND2PRESS NEWSWIRE) — California Safe Schools (CSS) is pleased to announce it is one of 10 recipients for 2014 of Neotrope’s annual J.L. Simmons Non-Profit PR Grant award. With this commitment, Neotrope® will provide public relations (PR) and cause-marketing support to California Safe Schools over the next year to raise awareness around its programs and accomplishments. California Safe Schools is a nationally – and internationally – celebrated child’s environmental health and environmental justice coalition. As part of this in-kind grant program, Neotrope® is providing PR solutions, news dissemination (through its Send2Press® Newswire service), and social media marketing for California Safe Schools. This cause-related marketing program is intended to help raise awareness of the 501(c)3 non-profit to traditional media, to the public, as well as to potential sponsors and donors, regarding their efforts. “For more than sixteen years, California Safe Schools has led groundbreaking efforts to ensure that school children and the public have a right not to be poisoned, a right to learn, work and live in a healthful environment. When we work together great things can and do happen,” added Suwol. California Safe Schools (CSS) successfully spearheaded the most stringent schools pesticide use policy in the nation, Integrated Pest Management (IPM), at the Los Angeles Unified School District. IPM uses low risk methods to eradicate insects, weeds and other pests, eliminating a major source of indoor and outdoor pollution. It was the first in the United States to embrace the “Precautionary Principle” and “Right to Know” about pesticides used on school campuses. The success of the Los Angeles Unified policy led to California Legislation, Healthy Schools Act 2000. On October 6, 2005, Governor Schwarzenegger signed AB 405 (Montanez) sponsored by California Safe Schools. This important law closes a loophole thus protecting more than 6 million California k-12 public school students, and hundreds of thousands of teachers and school employees from exposure to experimental pesticides whose health effects are unknown. CSS has worked extensively on local and national School Siting Guidelines and under Robina Suwol’s leadership, has facilitated changes at the policy level as well as at the grassroots which creates a lasting institutional protection. 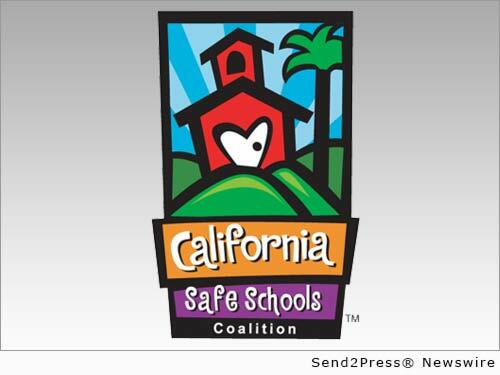 For more information on the California Safe Schools visit their website at http://www.calisafe.org/. To follow on Facebook, visit: https://www.facebook.com/pages/California-Safe-Schools/160930077251044. Since 1983 Neotrope® has delivered services to raise organization awareness including brand identity, marketing, public relations (PR), and SEO services. Neotrope is also an entertainment publishing company involved in books, music, software, and online magazines. The company pioneered the concept of search optimization of press release content back in 1997 and has been at the forefront of many communication and technology movements for three decades. Neotrope was an Inc. 5000 company in 2009, is a member of GS1, and has an A+ rating with the BBB. More information: http://www.Neotrope.com/. The Non-Profit PR Grants™ program was originally launched in 2000 to help assist U.S. 501(c)3 worthy causes to raise awareness, attract halo sponsors, and better connect with donors and volunteers. With this cause-related marketing grant program, Neotrope has been honored to help many worthy causes in past years, including Camp Blue Skies, Catalysts Powering Educational Performance, Children Awaiting Parents, Food Finders, Inc., Fresh Start Surgical Gifts, Girls Write Now, Move for Hunger, The Native Voices Foundation, The Pacific Pinball Museum, The Bob Moog Foundation, Special Equestrians, Starlight Children’s Foundation, The National Inclusion Project, World Savvy and dozens more. Additional information regarding the Neotrope 2013 J.L. Simmons Non-Profit PR Grant program for U.S. charitable non-profits and grant recipients can be found at: https://www.send2press.com/non-profit/ and also http://prgrants.com/. Send2Press® (a service of Neotrope) offers best-in-class affordable Direct-to-Editors™ news distribution to working print and broadcast media, and to social media, with high visibility in search engines using proprietary Neotrope ContextEngine™ technology. Send2Press is unique because it was the first online newswire service with staff entirely comprised of accredited public relations professionals, published authors, working journalists, and marketing experts. The service was spun-off of Neotrope’s traditional PR services in 1997 and became a branded service in 2000. Learn more about Send2Press at https://www.Send2Press.com/about/. All trademarks acknowledged. Brand names used for reference only and do not imply an endorsement or other relationship. Original Keywords: J.L. Simmons Non-Profit PR Grants award, child environmental health and environmental justice coalition, 501(c)3, causes, Robina Suwol California Safe Schools Los Angeles California LOS ANGELES, Calif. Founded by Robina Suwol in 1998, California Safe Schools (CSS) successfully spearheaded the most stringent schools pesticide use policy in the nation, Integrated Pest Management (IPM), at the Los Angeles Unified School District. IPM uses low risk methods to eradicate insects, weeds and other pests, eliminating a major source of indoor and outdoor pollution. It was the first in the United States to embrace the "Precautionary Principle" and "Right to Know" about pesticides used on school campuses. The success of the Los Angeles Unified policy led to California Legislation, Healthy Schools Act 2000. REFERENCES: Advertising and Marketing News, J.L. Simmons Non-Profit PR Grants award, child environmental health and environmental justice coalition, 501(c)3, causes, Robina Suwol California Safe Schools Los Angeles California LOS ANGELES, Calif.